Ducati.ms - The Ultimate Ducati Forum > General Discussion > Apparel and Accessory Chat > What helmet do you wear? I'm in the process of replacing my old RF1100, as is my son. He's gone with an AGV Veloce S but has to deal with not having visor detentes. 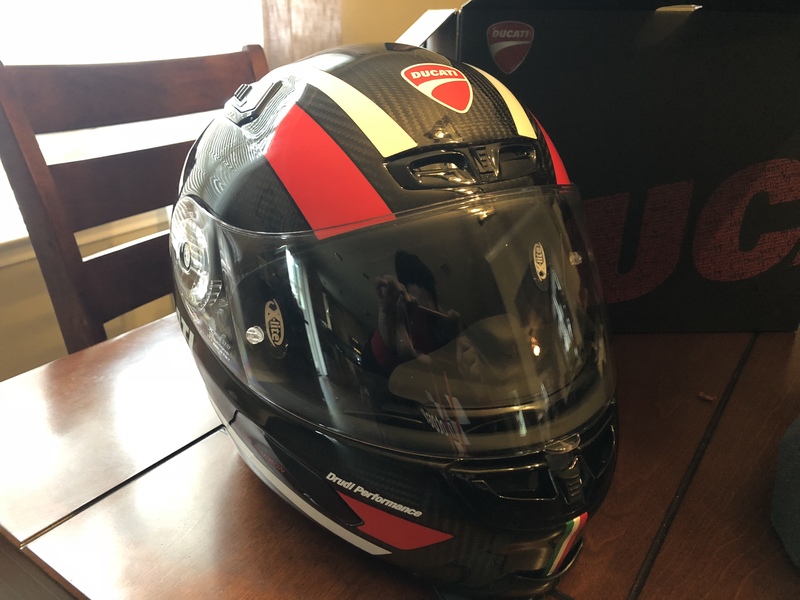 I tried an AGV K5S because of the sun visor and really liked it. Unfortunately I couldn't get my speakers in it, the cut outs were too shallow and they crushed my ears. Now I have an RF1200 and an HJC RPHA 70 ST sitting in the kitchen to choose from. The RF1200 is the default, but the HJC has the sun visor, which is now a big deal for me, and seems really quite good. GT Air are, imo, a bit long in the tooth and overpriced, but besides that they just don't fit my head shape. I just picked up the Xlite 803 UC. I’ve been wearing the Bell carbon helmets for the past 6 years. The Xlite Feels better, quieter, and I think cooling is about the same. That reminds me, I have an RS-1 also. 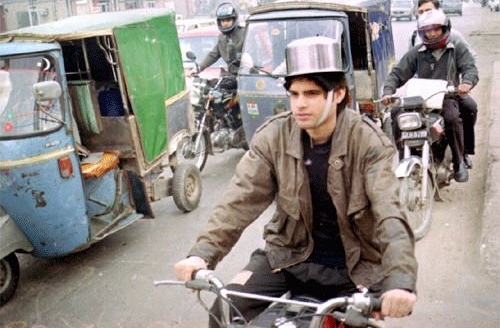 Nice light helmet although a bit large. Not the fit but the actual shell. 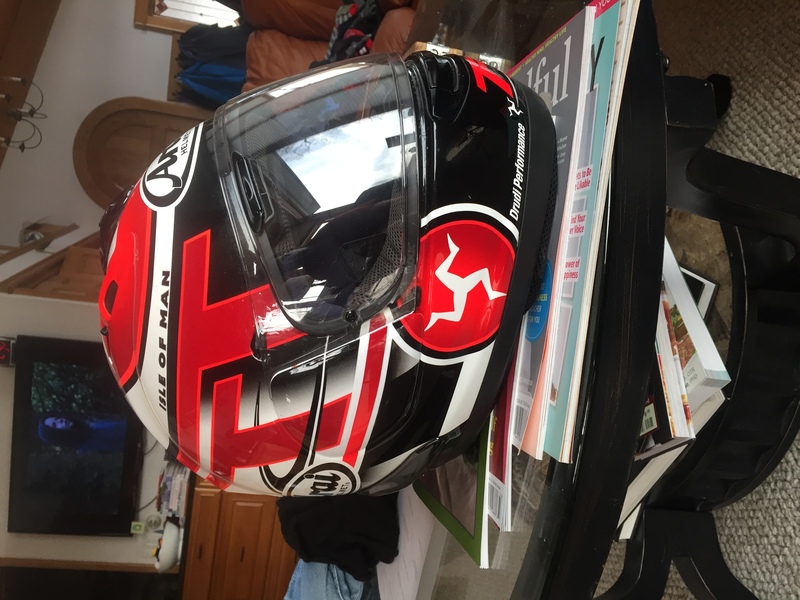 I originally bought the Arai Corsair to replace it as my track helmet both being Snell rated. Then I purchased the two AGV K5's for my wife and I for street use as they're light plus have an internal sunscreen. Ironically, she preferred the fit of the Bell. I just retired a Bell Star. Loved the helmet, but no removable liner (at least with the vintage I have). Replaced it with a Shoei RF1200. It is heavier than the Star and the shield is harder to exchange. The shield clarity is exceptional on the Shoei. Love my Shoei. Have an RF1200, GT Air and an X-14. All light, comfortable and easy to wear. Shoei also has the photochromic shield by Transitions which is exceptional! Lagostina with a full lifetime warranty. And It's Italian.